Charter a private flight to Singapore, the world’s only island city-state and a global economic leader. Hiring a private jet to Singapore Changi International Airport (WSSS, SIN) is the best way to get there, and our team at Air Charter Advisors is here to offer the highest standards in executive and leisure travel. We offer on-demand private jet charters to/from Singapore with access to thousands of private aircraft around the world. We’re confident we can arrange the right aircraft for your trip, whether flying regionally or internationally. Our private jet charter company is Wyvern-certified, and all of the aircraft we use are operated by FAR Part 135 (or foreign equivalent) air carriers. Our growing list of distinguished clients has ranged from royal family members, heads of state and C-level executives from major corporations, to celebrities, personal assistants and leisure travelers from around the world. Enjoy the peace of mind you get from working with a charter broker you can trust, and we’ll be your local and global aviation solution for luxury air travel, aircraft acquisition and private jet management. Give our team a call or request a quote for your private charter flight to Singapore. Our team is here to help you with all of your private aviation needs, from booking your aircraft and creating its flight itinerary to arranging gourmet in-flight catering, luxury ground transportation or accommodating any other special requests – consider us your one-stop shop for all things private aviation in Singapore. Tourism forms a large part of Singapore’s economy, with over 15 million tourists visiting the city-state in 2014. Private charter flights to Singapore have also increased as its importance in global commerce continues to grow. Over the years, it has become one of the more popular destinations in Asia thanks to its cultural confluence. Ranking high on national social policies, the nation leads Asia on the Human Development Index (UN) and is listed 11th globally. The country’s most notable efforts are found in measurements of education, healthcare, life expectancy, quality of life, personal safety and housing. Singaporeans are mostly bilingual in a range of mother-tongue languages, most commonly Singaporean Mandarin. English is used as their common language, so visitors from Europe and North America shouldn’t have any issues getting around or communicating. The island is covered with luxurious, world-renowned five-star resorts and hotels, the most iconic of them being the Marina Bay Sands, a three-column, ultra-modern high-rise hotel, with a one-hectare SkyPark across its top. The SkyPark also features an infinity pool atop it’s 57-story crown measuring nearly 150 meters, making it the longest elevated pool in the world. The cultural diversity here is a reflection of its extensive ethnic “hawker” cuisine and major festivals—Chinese, Malaysian, Indian and Western—which are all national holidays. The region has tropical rain-forest climate without any real difference in regards to seasons. Temperature and pressure remain uniform throughout much of the year, and high humidity and abundant rainfall isn’t relegated only to the summer months. It’s important to note when planning a charter flight that April and May are the hottest months, while the wetter monsoon season typically lasts from November to January. Singapore is a global center for commerce, finance and transportation. It’s also one of the most important destinations for business jet charters worldwide. After gaining independence in 1965, the nation developed rapidly with an economy based on external trade and human capital, despite not having any natural resources, or even a hinterland. Although it formed the original Four Asian Tigers with Hong Kong, South Korea and Taiwan, it has surpassed the other three in terms of GDP per capita. For ten consecutive years, the country has been voted as the “Easiest Place to do Business” by the World Bank, and over the previous decade, it is the the only Asian country with the top AAA sovereign rating from all major credit rating agencies. Singapore is also one of only nine countries in the world with an AAA rating from the Big Three (S&P, Moody’s and Fitch). 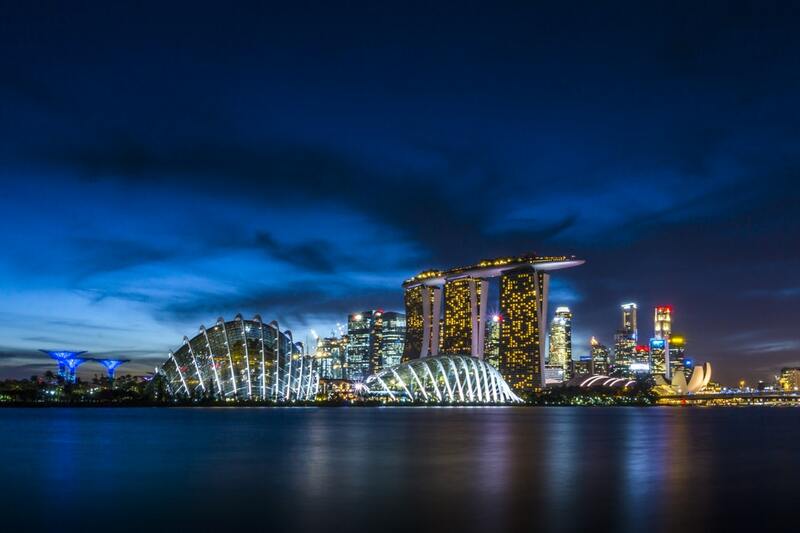 Singapore has become a global leader in a variety of economic sectors, including its status as the world’s largest oil-rig producer, world’s top logistics hub, and it is a major hub for ship repair services. The city-state also ranks the world’s 3rd-largest foreign exchange center, 3rd-leading financial center, 2nd-largest casino gambling market and 3rd-largest oil-refining and trading center. Thanks to its global impact and importance, the Port of Singapore has been recognized as one of the top two busiest container ports in the world since the 1990’s. Its main exports are refined petroleum, integrated circuits and computers. Information and communications technologies (ICT) is another one of the pillars of the country’s economic success, evidenced by the World Economic Forum’s 2015 Global Technology Report, when it placed as the most “Tech-Ready Nation” in the world. We’ve assisted executives with bespoke jet charters, as well as chartering multi-leg international trips with stops in Singapore and/or Bangkok, Hong Kong, Kuala Lumpur, and Shanghai. Request a FREE quote for a business jet rental to Singapore from wherever you’re located. Singapore offers some of the best luxury accommodations in all of Southeast Asia. This thriving island cosmopolitan is a global center for commerce and trade, and it’s transition from a colonial port to a symbol of wealth and trade brought with it a variety of luxurious resorts and attractions. Our private jet clientele from the United States will recognize several of the five-star establishments that have set-up shop on the islands, including the Ritz-Carlton, Four Seasons, St. Regis or the Shangri-La. Regardless of where you decide to stay, Air Charter Advisors can arrange for luxury ground transportation after your private jet arrives, bringing you to the resort or destination of your choice. Air Charter Advisors utilizes the following airport to arrange private charter flights to/from Singapore and neighboring areas of Southeast Asia and South Pacific. Request a Quote or give us a call at 1-888-987-5387 to speak with one of our Singapore Private Jet Charter agents for your next luxury vacation, business trip, or special event.